Stump the Priest: Faith that Moves Mountains? Question: "Could you explain Matthew 17:20? 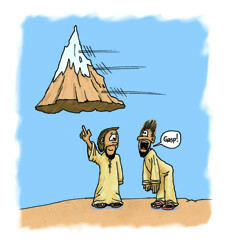 When Jesus is talking about moving the mountain, is it implied that it is only when the request is in accordance with God's will? Are there other prerequisites involved? And could you comment on the different ways that people might be deceived by that quote, like with having too much faith in their own prayers, etc?" In this passage, Christ said: "If ye have faith as a grain of mustard seed, ye shall say unto this mountain, Remove hence to yonder place; and it shall remove; and nothing shall be impossible unto you." Christ was not suggesting that we could simply perform tricks to amaze our friends, but that if we have the faith for some need, and asked for it in faith, our prayer will be answered. But faith is itself a gift from God (1 Corinthians 12:9; Ephesians 2:8), and God will only give us the faith to ask for things that are in accordance with His will. St. John the Apostles says this explicitly in 1 John 5:14-15: "And this is the confidence that we have in Him, that, if we ask any thing according to His will, He heareth us: and if we know that He hear us, whatsoever we ask, we know that we have the petitions that we desired of Him." "True human confidence is in the confidence of God, i.e., when man's confidence is completely in the confidence of God, then it is infinite, salvific, and almighty. Its boundaries are: Nevertheless not as I will, but as Thou wilt (Matt. 26:39). What is the will of God towards us, the human race? To achieve, through faith in the Son of God, eternal life. The will of God is completely and perfectly expressed in the God-man Christ, through His Gospel, through His works of salvation (cf. Eph. 1:9-10). Therefore, our confidence is in that we ask for that which belongs to Christ and is evangelical, and -- we receive it from God. It would not be confidence but insolence, shameless, and blind slavery to sin to ask from God something that is unevangelical and to wait for Him to fulfill it for us. Ultimately, that would mean wanting God to be a co-participant in our sin, to bring Him into our love of sin. The reason why our all-good and omniscient God does not fulfill many of our prayers is because they are not according to His will. The stipulation for our prayers to be fulfilled is that they be according to the will of God, and you shall receive. That which is according to the will of God is what is of the Gospel and in accordance with the Gospel. Through this, man's confidence is vouchsafed movement and life within God's infinite Goodness, God''s infiniteness. This is most perfect and the sweetest confidence. Everything else, directly or indirectly, is slavery to sin, death, the devil, and evil" (Archimandrite Justin Popovich, Commentary on the Epistles of St. John the Theologian, trans. Radomir M. Plavsic (Alhambra, CA: Sebastian Press, 2009) p.76f). There is nothing that I can add to these words of St. Justin. Question: "In the antiphons of the feast of the Transfiguration I was struck by a reference to unicorns. What does that mean?" Stichos 2: And He brought them unto the mountain of His sanctuary, this mountain which His right hand had gained as a possession (Psalm 77:54). Stichos 3: Mount Zion which He loved, and He built His sanctuary like that of a unicorn (Psalm 77:68-69). Each stichos is followed by the refrain: "O Son of God Who wast transfigured upon the mountain, save us who sing to Thee: Alleluia." The Psalm verses, which reference the mountain of God's sanctuary are obviously being tied to the Transfiguration on Mount Tabor. But before we get into the meaning of this particular passage, let's consider the wider meaning of "unicorn" in the Scriptures. The Hebrew words for this creature are riem (ראם), rieym (ראים), reym (רים), or rem (רם), and its root is related to the word "rise" râ'am (ראם). Unlike the gentle unicorns we tend to think of when we hear that word, unicorns in Scripture are used as symbols of strength. 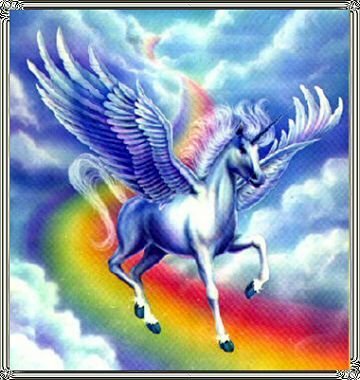 For example, in Numbers 23:22, it states: "God brought them out of Egypt; he hath as it were the strength of an unicorn." In Psalm Psalm 21:22, it refers to unicorns in a parallelism with lions: "Save me from the mouth of the lion, and my lowliness from the horns of the unicorns." In the Greek Septuagint, this words is consistently translated as "monokerotos" (μονοκερωτος), which literally means "single-horn", which is also what the word "unicorn" means. What is interesting is that in St. Jerome's translation of the Vulgate, he often uses the Latin word "unicornis", which is where we get the English word, but at other times he uses the Latin word "rinoceros" (rhinoceros), and this is reflected in the Douay-Rheims translation of Numbers 23:22: "God hath brought him out of Egypt, whose strength is like to the rhinoceros." There are several species of Rhinos still in existence. Some of them have two horns, though one is large and the other one is smaller, and both are on the nose. Others have one horn only. In fact, the scientific name for a single horn Rhino is "Rhinoceros unicornis". It is also interesting to note that in some passages in Hebrew, a singular "unicorn" (re'em) is spoken of as having plural horns ("His glory is like the firstling of his bullock, and his horns are like the horns of a unicorn..." (Deuteronomy 33:17), which St. Jerome's texts has as "his horns as the horns of a rhinoceros"). 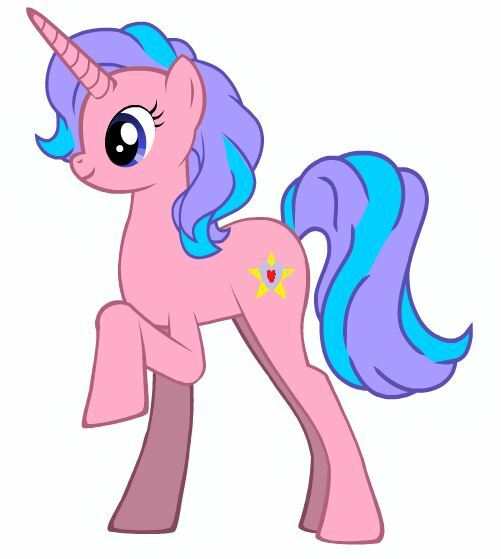 However, in other places, it is clear that it refers to an animal with only one horn ("But my horn shall be exalted like that of the unicorn" (Psalm 91:11 LXX, (92:10 KJV). If various types of Rhinos are in view, single-horned and double-horned varieties exist. These animals also cannot be domesticated, which is consistent with the description found in Job 39:9-10: "Will the unicorn be willing to serve thee, or abide by thy crib? Canst thou bind the unicorn with his band in the furrow? or will he harrow the valleys after thee?" "His glory is like the firstling of his bullock, and his horns are like the horns of a rhinoceros: with them he shall push the people together to the ends of the earth: and they are the ten thousands of Ephraim, and they are the thousands of Manasseh." 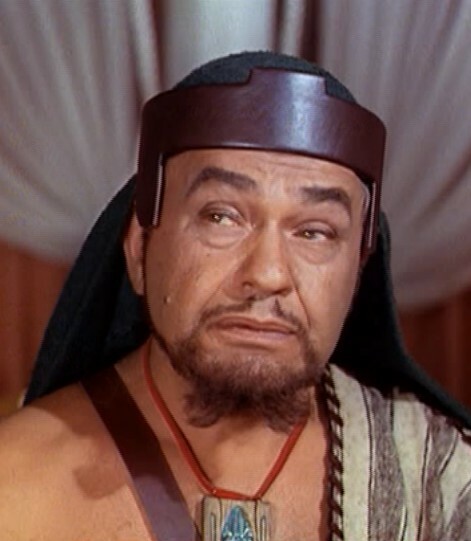 The tribe of Ephraim was much larger than the tribe of Manasseh, which fits the analogy of the horns of a two-horned Rhino. There were also some now extinct relatives of the Rhino, the Elasmotherium, that was much larger than a rhino, and had a huge single-horns -- and based on cave drawings, there is good reason to believe that ancient humans had some interaction with some of them. So these references are not to a fairy-tale animal that flies through the air, and leaves a trail of pixie dust in its wake -- it refers to an animal that people recognized as very strong, fierce, and a creature who could not be tamed by men. "And He chose the tribe of Judah, Mount Zion which He loved. And He built His sanctuary like that of a unicorn, on the earth He established it for ever" (Psalm 77:68-69). Blessed Theodoret: ""He built His sanctuary like a unicorn" (v. 69). They say the unicorn is equipped with one horn, and the Law gave instruction for the adoring of one God; and so it was right for him to liken the one Temple, dedicated to the one God, to a unicorn"(Theodoret of Cyrus: Commentary on the Psalms, 73-150), trans. Robet C. Hill (Washington, D.C.: Catholic University of America Press, 2001), p. 39). St. Augustine: "Lastly there followeth, "and He builded like as of unicorns His sanctification" (ver. 70): or, as some interpreters have made thereof a new word, "His sanctifying." The unicorns are rightly understood to be those, whose firm hope is uplifted unto that one thing, concerning which another Psalm saith, "One thing I have sought of the Lord, this I will require"" (NPNF1, p. 379). Cassiodorus: ""Unicorns"" signifies those who posses a single hope in the most holy Trinity, towards which the consecrated hearts of the faithful are humbly raised, and they rely on the constancy of faith as the strongest of horns" (Cassiodorus: Explanation of the Psalms, Vol. 2, trans. P. G. Walsh, (New York: Paulist Press,1991), p. 273). Creation Today: Why Does the Bible Mention Unicorns? A monk from Esphigemenou monaster, about to toss a Molotov cocktail. Question: "The Esphigmenou monastery [on Mount Athos] has recently made headlines; what is happening with them and why are the monks being evicted? How do you view Old Calendarists like these monks, who have broken communion with the rest of the Church?" The history of the Greek Old Calendar movement is a sad one. What is most sad about it is that it was a problem that could have so easily been avoided had the New Calendar not been introduced into the Church of Greece (along with several other local Orthodox Churches) in the manner in which it was. In the turmoil that followed World War I, you had the Bolsheviks reeking havoc in Russia, and the Greeks having launched a disastrous attempt to recapture Asia Minor from the Turks which led to a mass expulsion of the Greek population of Asia Minor, there were those who seized the opportunity presented by this upheaval to push for various "reforms" in the Church, and one of those "reforms" was to change the Church Calendar. Specifically, the kingdom of Greece had changed the civil calendar to the Gregorian Calendar, and so there were those who wished to push this change in the Church of Greece as well. In 1923, there was a "pan-Orthodox Synod" (which had representatives from less than half of the Church) which was held to consider this change. What they approved was a calendar that was essentially the same as the Gregorian Calendar, but which preserved the Old Calendar Paschalion (which determines the date of Pascha, and therefore all the aspects of the liturgical calendar that are determined by the date of Pascha). In 1924, the Church of Greece adopted this "Revised Julian Calendar," and in reaction, an Old Calendarist movement began. The Church of Greece in cooperation with the government of Greece began a policy of repressing the Old Calendarists, which only added bitterness to schism. Gradually various divisions emerged among the Old Calendarists. Many of the Old Calendarists declared the New Calendar Church of Greece to be "without grace," and the degree to which extreme stances were taken added to the division among the Old Calendarists. 1. Had the Calendar not been changed the way that it was, there never would have been a schism. 2. Old Calendarists have pointed to many Ecumenical abuses, especially on the part of clergy under the Ecumenical Patriarchate, and many of their objections have merit -- though their arguments that the rest of the Orthodox Church has fallen away as a result of these abuses does not stand up to scrutiny. However, those responsible for these abuses have some share in the blame that these groups have not been reconciled with the rest of the Church. 3. However, the Old Calendarists have generally taken a simplistic view of the canons and Church history in an attempt to justify their separation from the Church that has swayed many, but which is not justified by the Tradition and Canons of the Church. 4. Many (probably most) Old Calendarists are sincere, but there are also many who use the issues that motivate the Old Calendarists as an excuse for schism in order to provide a haven for those who simply wish to function outside of the reach of the accountability they would have to face in legitimate Orthodox Churches. Is the New Calendar a Heresy? While Old Calendarists cite other issues today, the issue that caused their groups to originally go into schism was the change of the Calendar, and so the question must be asked, is the New Calendar a heresy? Was it a sufficient basis for going into schism, and denouncing the Church of Greece? 1. I do not believe that the New Calendar should have been introduced unless every local Church agreed to make the change, at the same time. Whatever advantages the New Calendar may have, they are not worth causing division, and that is in fact what it caused. 2. Changing the fixed calendar to the New Calendar, but continuing to use the Old Calendar to determine the date of Pascha causes liturgical chaos. The Typikon was not written with such a strange mix in mind. Personally, I think it would make far more sense to change the entire calendar, so that it still worked with the Typikon. As it is, you have lenten commemorations occurring before Lent (such as the feast of the 40 Martyrs of Sebaste), and you have paschal commemorations occurring during lent (such as the feast of St. George). You also have the Apostles fast often ending before it begins, as it did this year. But despite these issues, it cannot be successfully argued that the New Calendar is a heresy, and according to the Canons, it is only heresy, preached clearly and unequivocally, that is a sufficient basis for separating from your lawful bishop, or a bishop separating from his lawful synod. "But as for those persons, on the other hand, who, on account of some heresy condemned by holy Councils, or Fathers, withdrawing themselves from communion with their president, who, that is to say, is preaching the heresy publicly, and teaching it barehead in church, such persons not only are not subject to any canonical penalty on account of their having walled themselves off from any and all communion with the one called a Bishop before any conciliar or synodal verdict has been rendered, but, on the contrary, they shall be deemed worthy to enjoy the honor which befits them among Orthodox Christians. For they have defied, not Bishops, but pseudobishops and pseudo-teachers; and they have not sundered the union of the Church with any schism, but, on the contrary, have been sedulous to rescue the Church from schisms and divisions." Another basis that is often appealed to is the example of St. Theodore the Studite, who broke communion with the Patriarch of Constantinople because he allowed the Emperor to enter into a fourth marriage.. which was certainly contrary to the well established Tradition of the Church. This controversy is known as the Moechian Controversy (from the Greek word "μοιχός," which means "adulterer," because St. Theodore considered this marriage to be nothing more than adultery). During this controversy, St. Theodore the Studite briefly separated himself from two Patriarchs who are also Saints of the Church.The fact that he separated from two saints of the Church suggests that the example is not one that is so clear cut that one could base a great deal upon it. Aside from that, a few decades after the repose of St. Theodore, the First and Second Synod was called in Constantinople, and while they did say that a bishop preaching heresy bareheaded in the Church was grounds for schism, they made it very clear that personal sins or canonical violations were not a sufficient basis for a schism. “The All-evil One having planted the seed of heretical tares in the Church of Christ, and seeing these being cut down to the roots with the sword of the Spirit, took a different course of trickery by attempting to divide the body of Christ by means of the madness of the schismatics. But, checking even this plot of his, the holy Council has decreed that henceforth if any Presbyter or Deacon, on the alleged ground that his own bishop has been condemned for certain crimes, before a conciliar or synodal hearing and investigation has been made, should dare to secede from his communion, and fail to mention his name in the sacred prayers of the liturgical services in accordance with the custom handed down in the Church, he shall be subject to prompt deposition from office and shall be stripped of every prelatic honor. For anyone who has been established in the rank of Presbyter and forestalls the Metropolitan’s judgment, and, judging matters before a trial has been held, insofar as lies in his power, condemns his own father and Bishop, he is not even worthy of the honor or name of Presbyter. Those, on the other hand, who go along with him, in case any of them should be among those in holy orders, they too shall forfeit their own rights to honor, or, in case they should be monks or laymen, let them be utterly excommunicated from the Church until such time as they spew upon and openly renounce all connection with the schismatics and decide to return to their own Bishop” (D. Cummings, trans., The Rudder of the Orthodox Catholic Church: The Compilation of the Holy Canons Saints Nicodemus and Agapius (West Brookfield, MA: The Orthodox Christian Educational Society, 1983), p. 469). “If any Bishop, on the allegation that charges of crime lie against his own Metropolitan, shall secede or apostatize from him before a conciliar or synodal verdict has been issued against him, and shall abstain from communion with him, and fail to mention his name, in accordance with consuetude, in the course of the divine mystagogy (i.e., liturgical celebration of the Eucharistic mystery), the holy Council has decreed that he shall be deposed from office, if merely by seceding from his own Metropolitan he shall create a schism. For everyone ought to know his own bounds, and neither ought a presbyter treat his own bishop scornfully or contemptuously, nor ought a bishop to treat his own Metropolitan so” (Ibid., p. 470). Essentially, this says that what goes for Deacons and Priests, goes for a Bishop in his dealings with his Metropolitan too. “The rules laid down with reference to Presbyters and Bishops and Metropolitans are still more applicable to Patriarchs. So that in case any Presbyter or Bishop or Metropolitan dares to secede or apostatize from the communion of his own Patriarch, and fails to mention the latter’s name in accordance with custom duly fixed and ordained, in the divine Mystagogy, but, before a conciliar verdict has been pronounced and has passed judgment against him, creates a schism, the holy Council has decreed that this person shall be held an alien to every priestly function if only he be convicted of having committed this transgression of the law. Accordingly, these rules have been sealed and ordained as respecting those persons who under the pretext of charges against their own presidents stand aloof, and create a schism, and disrupt the union of the Church. But as for those persons, on the other hand, who, on account of some heresy condemned by holy Councils, or Fathers, withdrawing themselves from communion with their president, who, that is to say, is preaching the heresy publicly, and teaching it barehead in church, such persons not only are not subject to any canonical penalty on account of their having walled themselves off from any and all communion with the one called a Bishop before any conciliar or synodal verdict has been rendered, but, on the contrary, they shall be deemed worthy to enjoy the honor which befits them among Orthodox Christians. For they have defied, not Bishops, but pseudobishops and pseudo-teachers; and they have not sundered the union of the Church with any schism, but, on the contrary, have been sedulous to rescue the Church from schisms and divisions” (Ibid., p. 470f). And so what was said in the previous canons about separating from Bishops and Metropolitans is all the more applicable to one’s Patriarch. There is only one exception given here, and that is when one separates from their Bishop, Metropolitan, or Patriarch, on the basis of heresy that is publicly taught “bareheaded” in the Church. The canon does not say it is justified merely on the grounds that a bishops holds a heretical opinion. It also does not say it is justified because such an heretical opinion might be inferred from his actions or vaguely worded statements. It is only when it is a heresy that has been condemned by the fathers or councils, and is taught publicly, and “bareheadedly”. These canons, coming as they do in the wake of the Moechian controversy, were clearly designed to ensure that another such controversy would not occur. They clearly define the only basis for schism prior to a conciliar verdict, and that is the clear preaching of heresy. Furthermore, even this canon does not provide for the establishment of parallel jurisdictions prior to a conciliar verdict. In other words, you could withdraw from communion from a bishop who is preaching heresy, but until the Church deals with the matter, you have no grounds for establishing rival Synods, as the Greek Old Calendarists have done. Now getting back to the monks at Esphigmenou, while all the monasteries on Mount Athos have at times raised objections to actions and statements of the Ecumenical Patriarchate, and while they all have remained on the Old Calendar, all of them remain in communion with the rest of the Church... except for this monastery. It has unfortunately attracted the most extreme monks on the Holy Mountain, and they have painted themselves into a theological and ecclesiological corner. There have been other examples of Orthodox governments using military force to remove heretical or schismatic monks from a monastery, but I think it would have been better in this case for the Ecumenical Patriarchate to focus their attention on removing the points of scandal that have inspired these monks to take the extreme position that they have, and then to attempt to reason with them in good faith, rather than resorting to the use of force at this point. The shame of it all is that among the Old Calendarists there are many people who are very pious and devout, and were it not for the issues that have led them into schism, they would be great assets to the rest of the Church and contribute much to its strength. We should pray that they will see their error in their position, but we should also speak out against examples of modernism and ecumenism when we see them, because these things are not only a temptation that has led many into schism -- they are also things that could eventual divide the Church even further. The more we all embrace the Tradition of the Church, the more we will be united; but the more that people in the Church disregard that Tradition, the more division will be the result. I would recommend that you read "Anti-Patristic: The Stance of the Zealot Old Calendarists, by Monk Basil of the Holy Monastery of Saint Gregory (Grigoriou), Mount Athos. I would also recommend you read "A Rejoinder to Hieromonk Patapios’ essay: “The Deficient Scholarship of Monk Basil’s Comments on the Allegedly Anti-Patristic Stand of the So-Called“Old Calendarist Zealots”. Question: "How does the Orthodox Church views the nature of Holy Orders when compared to the view of the Roman Catholic Church. The Roman church claims that its priests are "Alter Christus," -- another Christ -- who undergo a fundamental change in being at their ordination, and who will be priests even in heaven or hell ("once a priest always a priest"). Does the Orthodox Church accept this formulation? Perhaps you could also express the Orthodox view of the Protestant notion of the "Priesthood of all believers."" We of course believe that, not only priests, but all Christians, are called to be like Christ. We also believe that in certain respects and at certain times in the Liturgy a priest or bishop represent Christ in a symbolic sense. We do not believe that ordination leaves an “indelible mark on the soul” and that therefore once a person is ordained a priest or bishop, he is therefore “forever a priest, after the order of Melchizedek.” St. Basil’s 3rd and 32nd canon make clear that if a person is justly deposed, no sacrament that they perform would be valid. In commenting on Canon 28 of the Holy Apostles, St. Nicodemus of the Holy Mountain compares someone who is unjustly deposed with an artist whose tools have been taken away from him. Once the unjust deposition is annulled, he is given back his tools, and is able to paint as before. But a person who is justly deposed is like an artist whose hands are crippled, and even if he takes up his tools again, he is unable to again do with them what he was able to do before. As for the Protestant view of the "Priesthood of all believers," we would agree with them up to a point. St. Peter indeed says that "you also, as living stones, are being built up a spiritual house, a holy priesthood, to offer up spiritual sacrifices acceptable to God through Jesus Christ…. you are a chosen generation, a royal priesthood, a holy nation, His own special people, that you may proclaim the praises of Him who called you out of darkness into His marvelous light" (1 Peter 2:5, 9). You also find the same idea expressed three times in the book of Revelation (Revelation 1:6; 5:10; 20:6). But you also find the same idea in the Old Testament. For example in the Law of Moses it says "And you shall be to Me a kingdom of priests and a holy nation." These are the words which you shall speak to the children of Israel" (Exodus 19:6). "They gathered together against Moses and Aaron, and said to them, "You take too much upon yourselves, for all the congregation is holy, every one of them, and the Lord is among them. Why then do you exalt yourselves above the assembly of the Lord?"" (Numbers 16:3). If you read the rest of that chapter, you will see that this attempt to democratize the Liturgical Priesthood of the Old Testament did not end well for them. Deacons, priests, and bishops have a special grace that is bestowed upon them by the laying on of hands (ordination), and so they have a distinct role in leading the people in worship, and performing the sacraments of the Church. They also have special canonical requirements that not all Orthodox Christians are held to. For example, a blind or deaf person cannot be ordained. They also should have good character, and can only have been married once. And if a man who has married a women who has been married before, even if she is a widow, he cannot be ordained. This does not mean that there is any sin in marrying a widow, but it does mean that clergy have to meet certain standards of ritual purity to be ordained... and so must his wife, if he has one. But clergy function in these roles only because they have the blessing of the Church to do so. If that blessing is taken away, they cannot continue to function in those roles. Also, every Orthodox Christian can pray, and do all the services of the Church without a priest -- short of the sacraments and liturgical blessings specific to the clergy. For example, a parent can and should bless their children by making the sign of the cross over them. If an Orthodox layman is unable to attend a Church, they can do a Vigil as a reader service, and do Typika in the place of the Liturgy. An Orthodox Christian can even baptize someone in the case of an emergency. So we are all a kingdom of priests, but God has established a distinct priesthood to perform a particular role in the life of the Church.